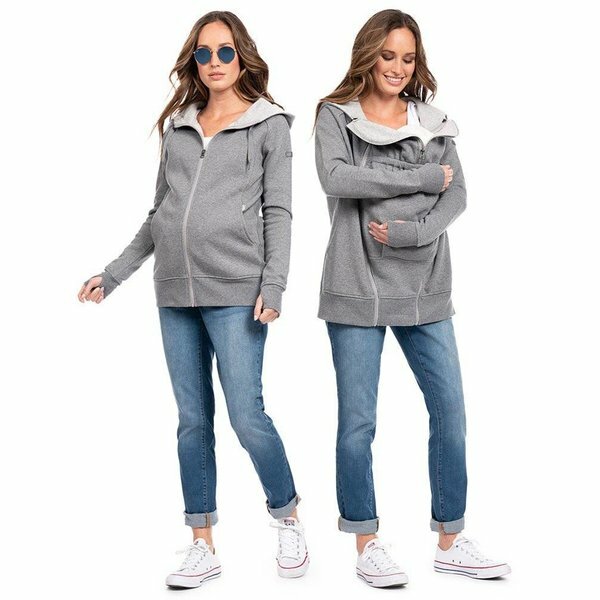 Before baby is born, this must-have maternity hoodie features built-in stretch panels to the sides, ensuring a fit that grows with you throughout your nine months. The fabric is gently brushed inside for a soft fleecy finish – perfect for indoor to outdoor styling or layering under a coat. Once baby arrives, simply zip on the extra panel at the front to fit easily over your baby sling or front carrier. 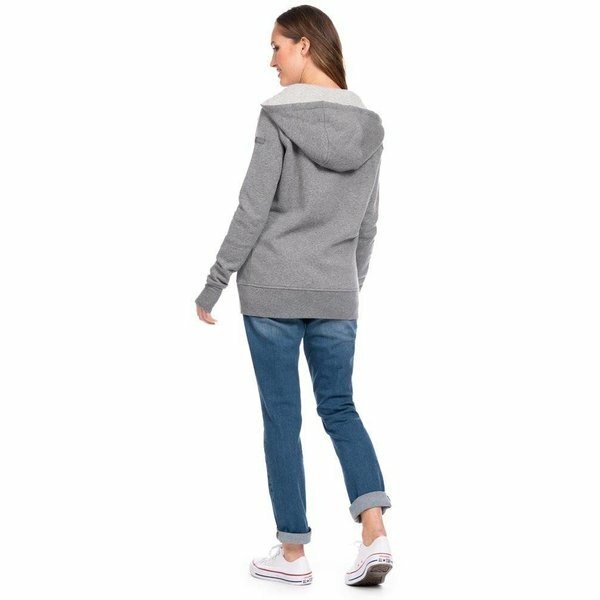 A drawstring hood and handy pockets at the sides complete this essential grey marl maternity hoodie. 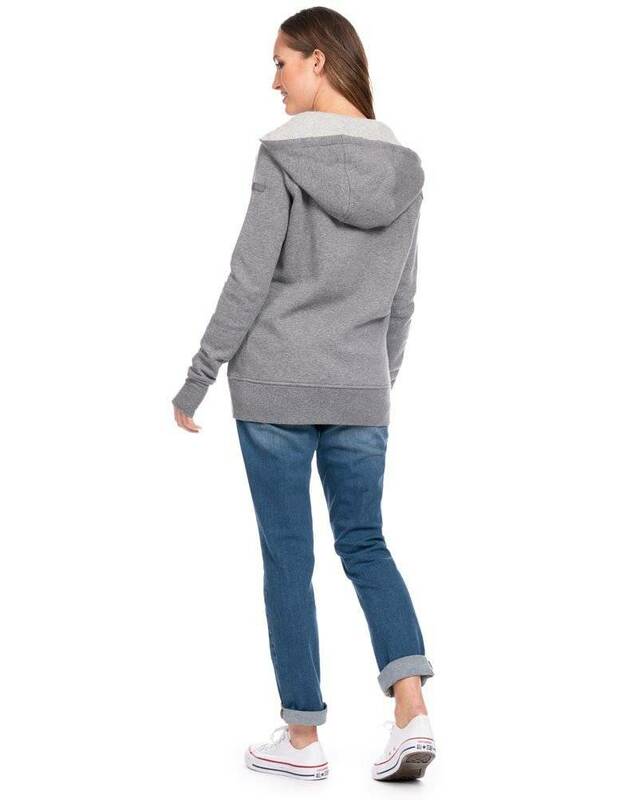 Throw it on over leggings & a tee to hit the gym or snuggle up at home. 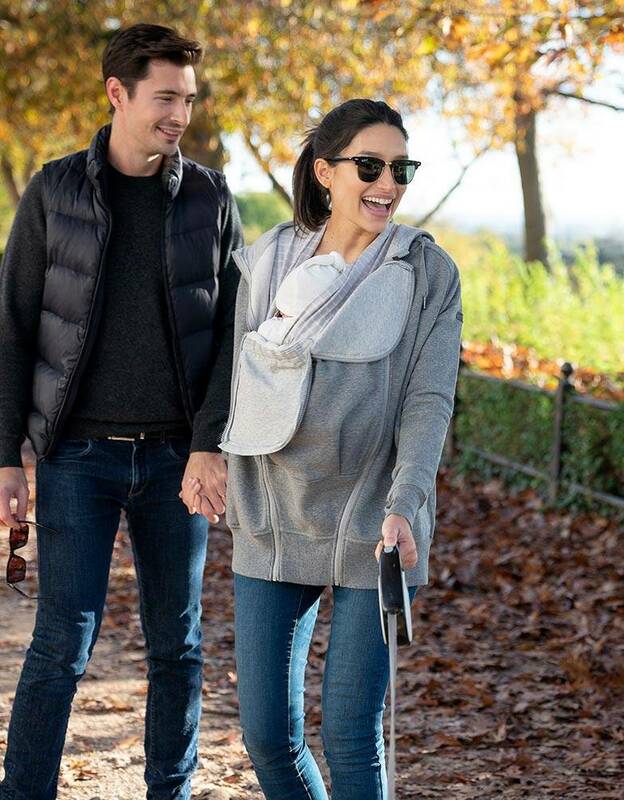 It’s a cosy must-have you’re sure to be wearing for years to come - whether you’re expecting, baby-wearing or chasing a toddler around the park! 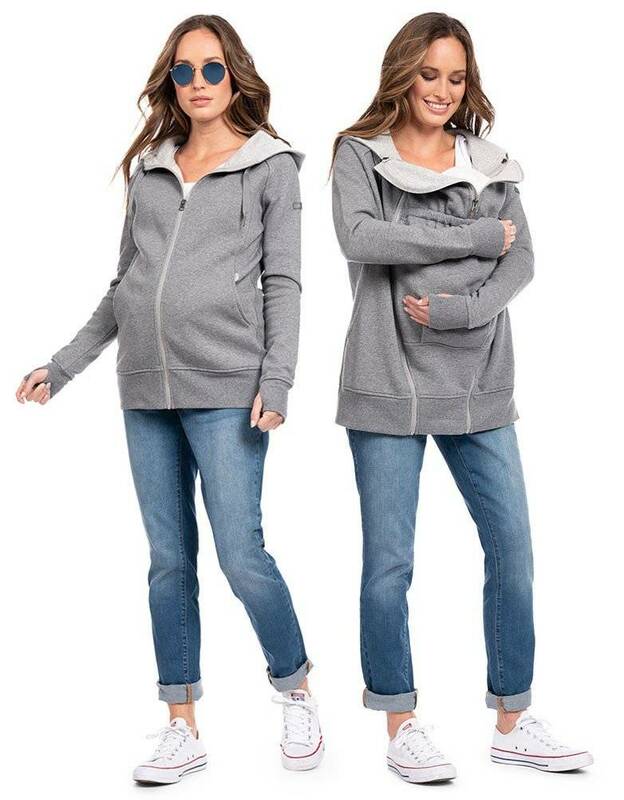 The ultimate in easy luxury, our 3 in 1 Maternity Hoodie is designed for bump, for baby and forever.